“They don’t make them like they used to.” That pronouncement, delivered with a sneer or a sad shake of the head, is as reliable an indicator of advancing age as gray hair or wrinkles. Sooner or later, we find ourselves unfavorably comparing the current crop of — songs, toasters, tomatoes, plywood, whatever — to what we had in our youth. In most cases, it’s pure horse manure (and not the dense, rich kind we had back in the ’50s, either). Dark Victory… Goodbye, Mr. Chips… Love Affair (which was re-made in 1957 as An Affair To Remember)… Mr. Smith Goes To Washington… Ninotchka… Of Mice and Men… Stagecoach… The Wizard of Oz… Wuthering Heights… and the winner, Gone With The Wind. The Curious Case of Benjamin Button… Frost/Nixon… Milk… The Reader (no relation)… Slumdog Millionaire. You’re welcome to disagree — and if you do, please comment — but I doubt that any of this year’s nominees would displace any of the best five from 1939. 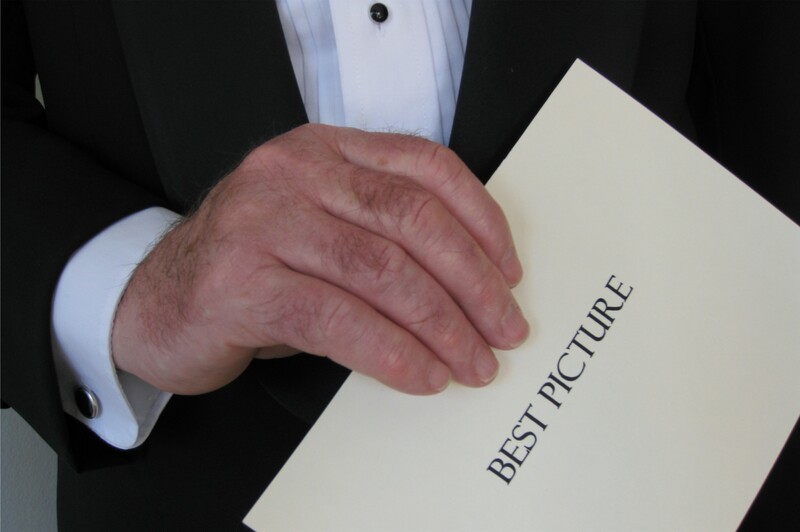 For that matter, how many of the Best Picture winners from the last several years belong in the company of the nominees of seventy years ago? To refresh your memory, the winner at last year’s ceremony was No Country For Old Men… the year before that was The Departed… 2005’s best was Crash… Million Dollar Baby won for 2004. The big winner among 2003 releases was The Lord Of The Rings: The Return of the King, which also got my unofficial vote for most cumbersome title. I’m not saying the recent-vintage films are bad, or that everything produced before 1980 was brilliant. After all, The Sting won seven statuettes in 1973, and it was made of pretty flimsy stuff. I’m merely suggesting that once upon a time it wasn’t as difficult to find five films that were worthy of a Best Picture nomination as it seems to be nowadays. The one thing about movies that hasn’t changed is the popcorn: what they’re currently selling at your local theater is from the same batch they made during the first run of Citizen Kane. The only beef I have with the old school stuff is that often the acting is less subtle. Remember how I used to hate the “sudden kiss”? I’m also a ridulously huge fan of the Lord of the Rings trilogy and am actually in the midst of slowly watching the extended version right now. I know you aren’t a fan of the fantasy thing, but for Tolkien nerds, it’s like crack (so I’m told).